Hotel Prague City – Where do I start? Is it even worth it? What’s there to see in Prague? 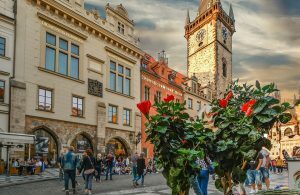 Well, you start here, it’s most certainly worth it, and there is quite a lot to see in Prague – we don’t think even most of the locals have seen it all. Prague is a very old city with plenty of tourist attractions, great food, even better beer, friendly people and plenty of beautiful sights. And what about the hotel in Prague city? Well, you’re in just the right place. At Le Petit Hotel Prague we take great pride in providing the best cheap hotel accommodation. We provide great value and clean, modern rooms, as well as a friendly, skilled hotel staff. Now that’s a Hotel Prague City! To get more information on pricing and special offers, check out Cheap Hotel Prague! What Hotel Prague City to choose? What’s important in a hotel? We think it’s the location, cleanliness, equipment and the staff, all fit for a sensible budget. If you’d agree with us, we think you may have already found just the accommodation for you! What to do in Prague City? We will keep this page up-to-date with various stuff we think is worth seeing in Prague at any given time. Pop by every once in a while and see just why would it be worth to visit Prague over the next weekend! For more on this, check out Short Stay Prague as well!